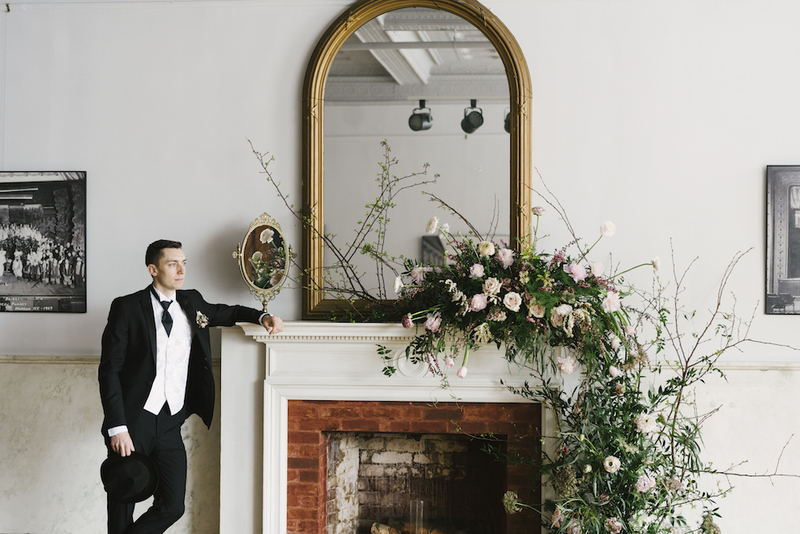 What is more romantic than the Opera? 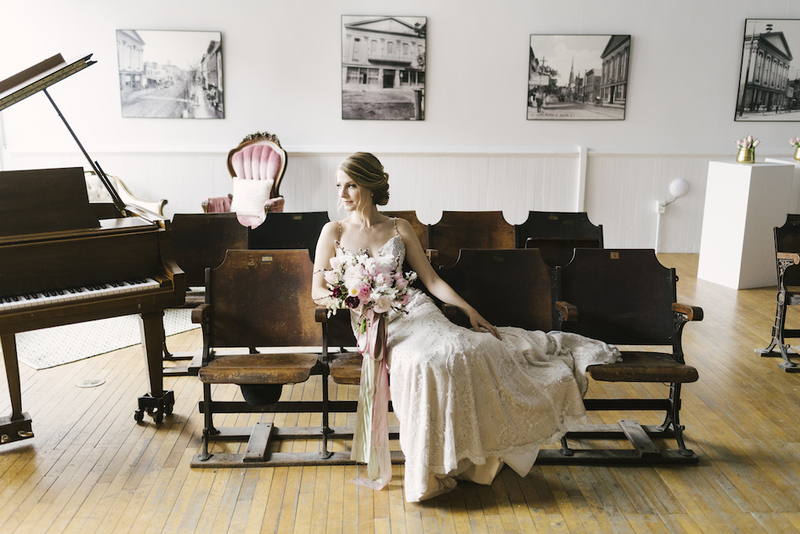 How about a wedding at the historic Hudson Opera House in New York. 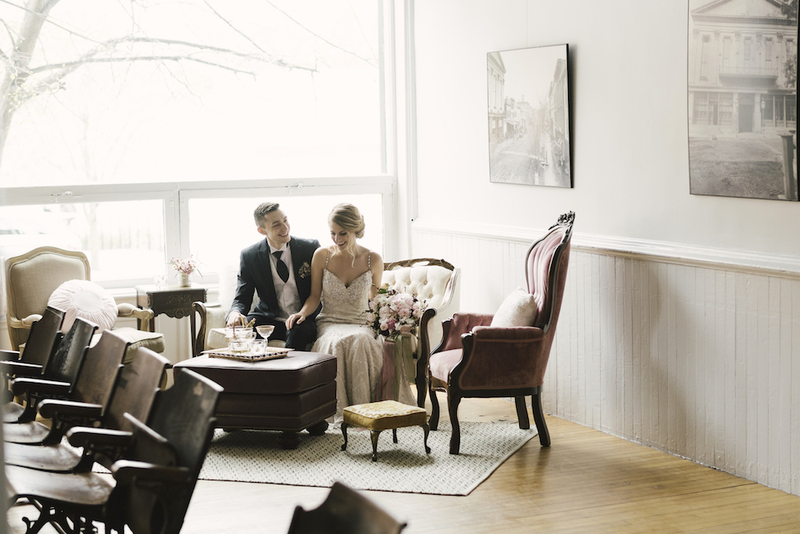 Photographed by Alicia King , this wedding is jam packed with treasured vintage details. 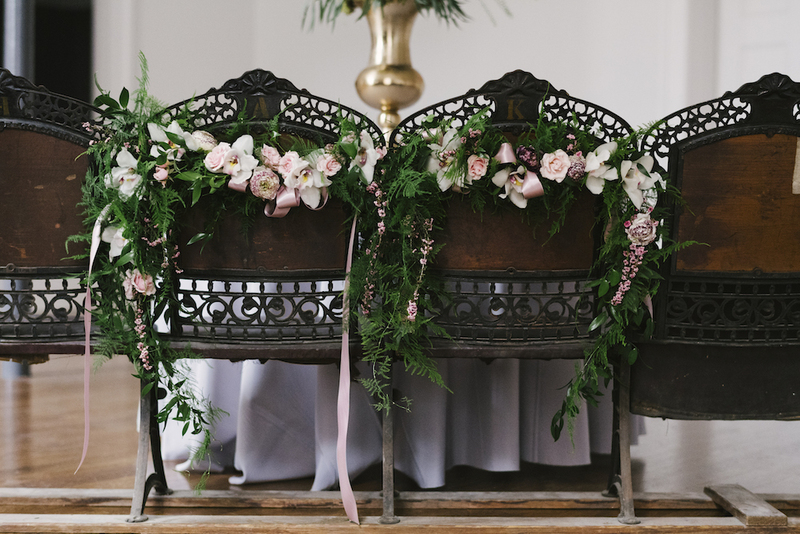 The venue itself is full of gorgeous antiques and the bride chose delicate decor and airy blooms to complement this historic setting. 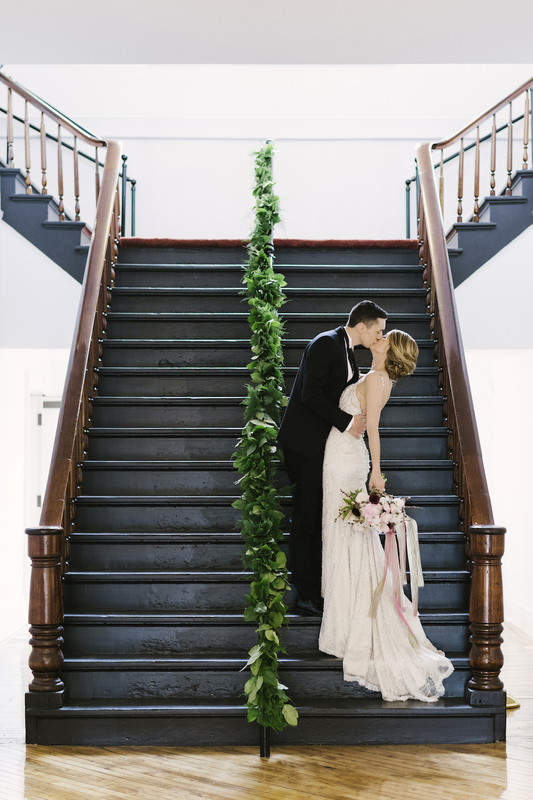 Scroll down to see all of the prettiness from the romantic and historic Hudson Opera House wedding. 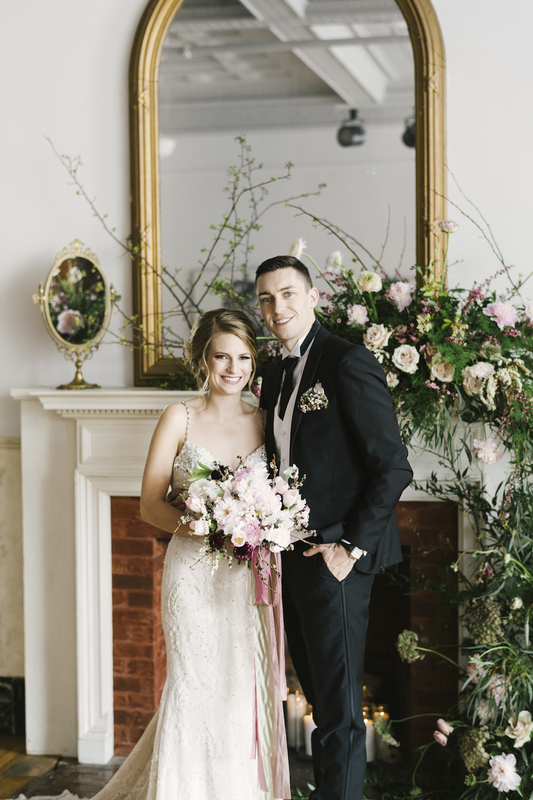 Talk about one unique way to showcase a wedding gown! 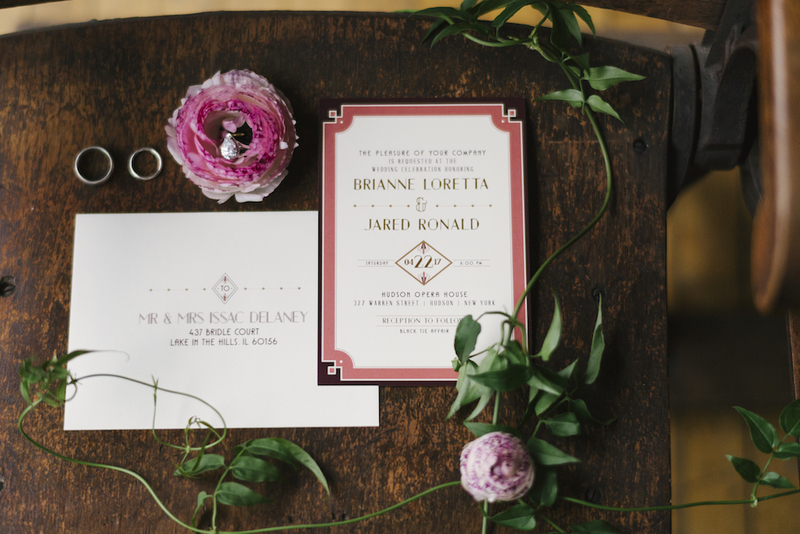 Lovely stationery mixed with greenery and blooms. 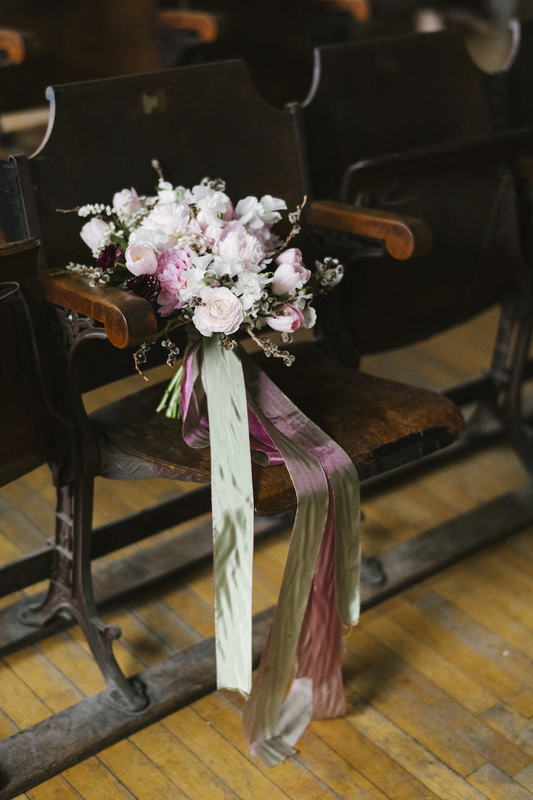 The antique seating really makes this gorgeous bouquet pop. 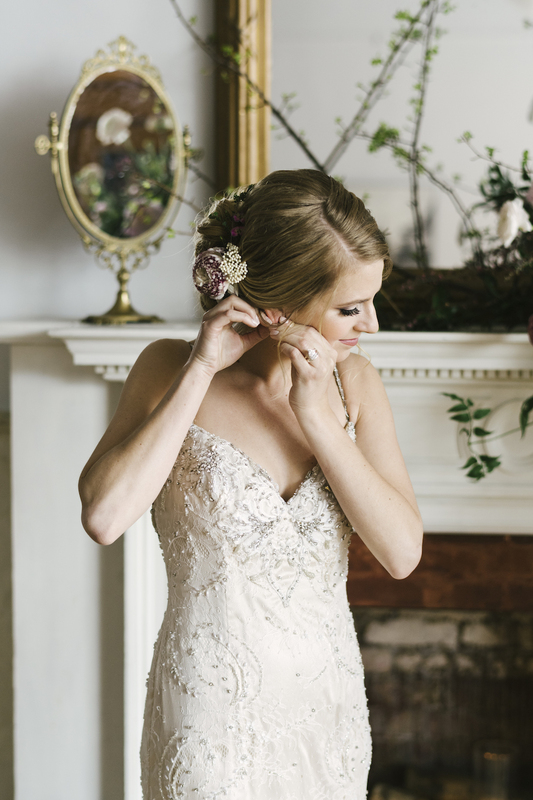 Lace and beading for this blushing bride. 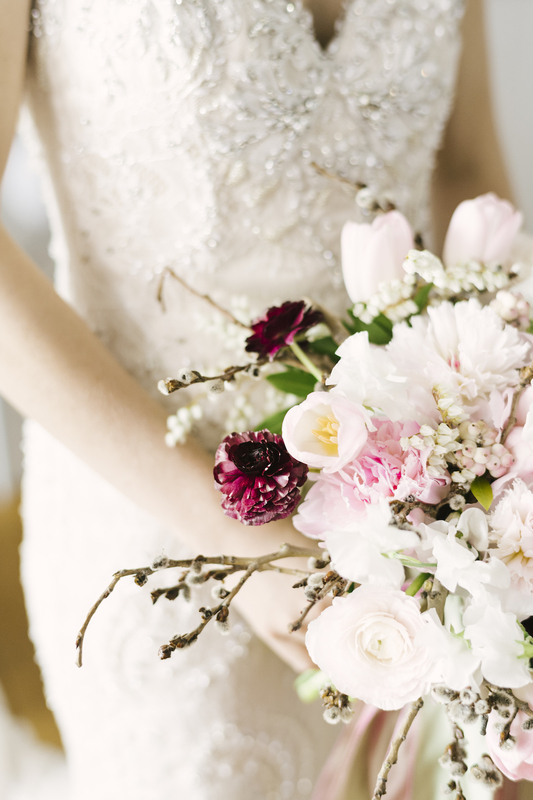 How romantic are this bouquet and that gown?! 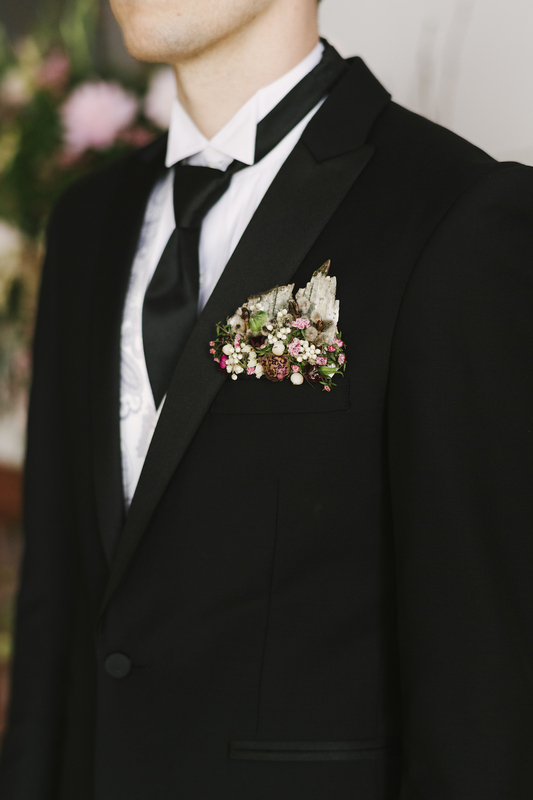 Loving the groom’s boutonniere, that matches the floral design so perfectly. 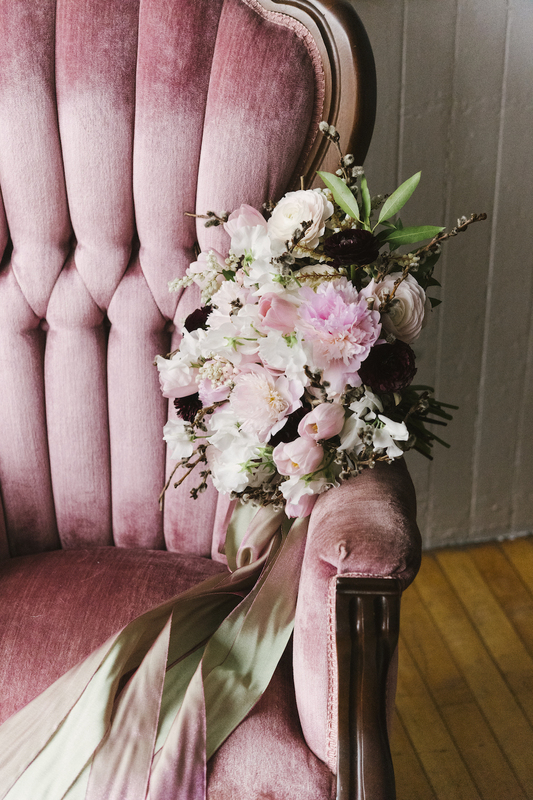 This rose velvet chair couldn’t be more in theme. 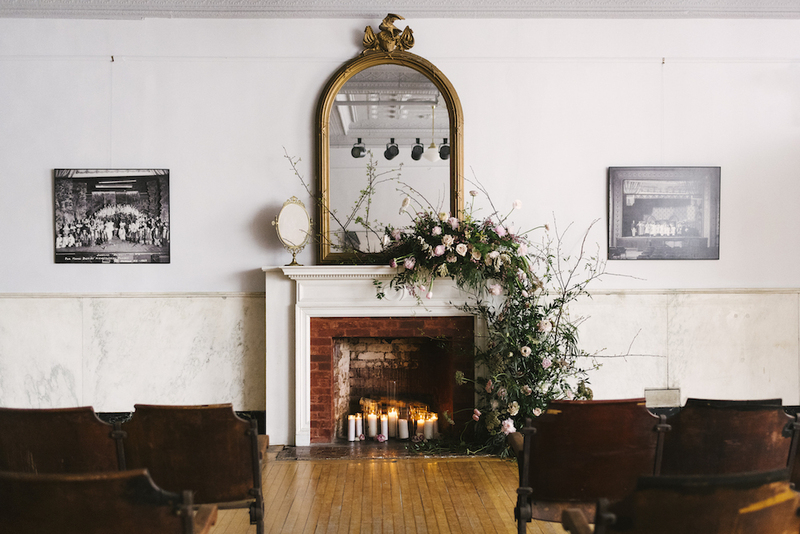 Such a romantic fireplace decorated with greenery and fresh florals throughout. 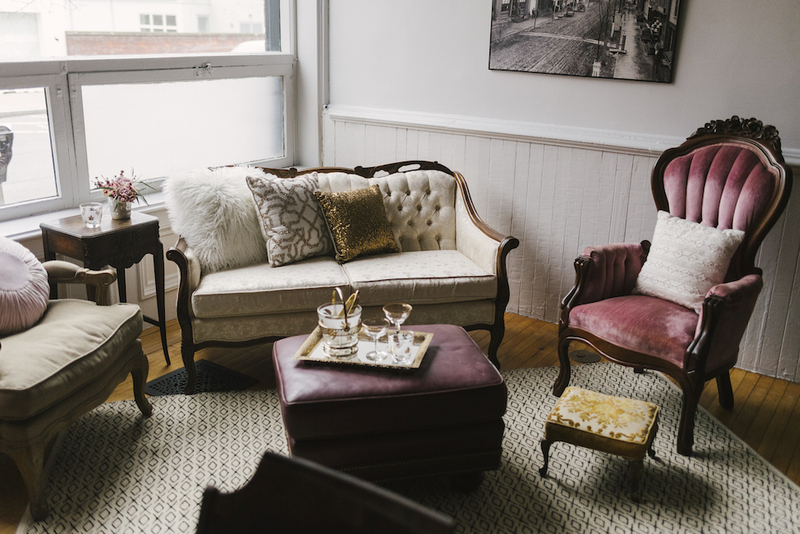 A chic lounge seating area for an elegant affair. Just casually looking as dapper as ever. 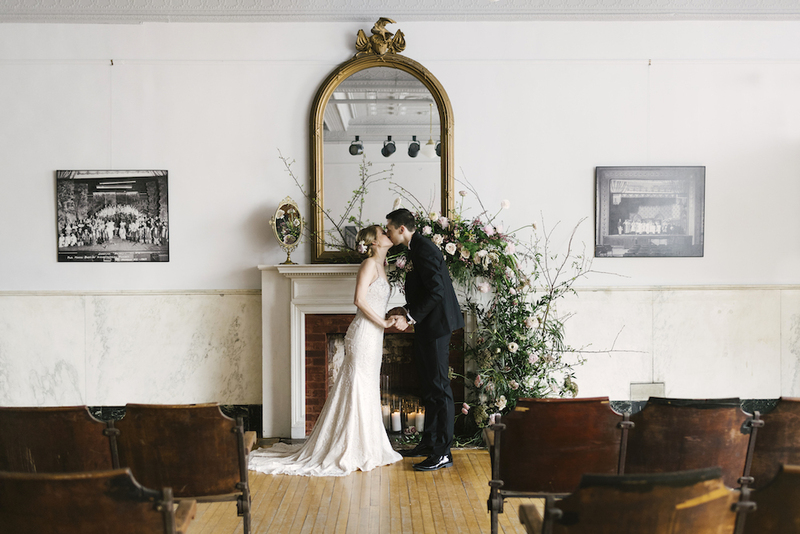 A lovely affair at the Hudson Opera House.